Martin Roscheisen, Nanosolar’s chief executive, said customers include solar power plant developers like NextLight, AES Solar and Beck Energy of Germany. SAN FRANCISCO – The chatter of the Financial District types who lunch at One Market is a bit deafening, so I’m sure I’ve misheard when Solyndra CEO Chris Gronet tells me how much funding his stealth solar startup has raised. “You said $60 million, right?” I ask. That pile of cash from investors ranging from Silicon Valley venture capitalists to Richard Branson to the Walton family wasn’t the only big number Solyndra revealed to Green Wombat in anticipation of the solar panel manufacturer’s public debut Tuesday after operating undercover for more than three years. “We have $1.2 billion in orders under contract,” says Kelly Truman, the Fremont, Calif.-based company’s vice president for marketing and business development. The stealth startup is a Silicon Valley archetype, along with the baby-faced Web 2.0 mogul and the millionaire stock-option secretary. But perhaps no company in recent memory has managed to hire more than 500 people and build a state-of-the-art thin-film solar factory – in plain view of one of the Valley’s busiest freeways – without attracting much attention beyond a few enterprising green business blogs. Yet Solyndra bursts onto the scene with a factory operating 24/7 and a billion-dollar book of business. The reason for Solyndra’s secrecy – and success with investors and customers – is sitting in a bazooka-sized cylinder propped up beside Truman at the restaurant. He pulls out a long, black glass tube that is darkened by a coating of solar cells. The cylindrical shape is the key, according to CEO Gronet. Conventional rooftop solar panels must be tilted to absorb direct sunlight as they aren’t efficient at producing electricity from diffuse light. But the round Solyndra module collects sunlight from all angles, including rays reflected from rooftops. That allows the modules, 40 to a panel, to sit flat and packed tightly together on commercial rooftops, maximizing the amount of space for power production. “We can cover twice as much roofspace as conventional solar panels and they can be installed in one-third the time,” says Gronet, a boyish 46-year-old who holds a Stanford Ph.D. in semiconductor processing and was an 11-year veteran of chip equipment maker Applied Materials (AMAT) before he started Solyndra in May 2005. And because air flows through the panels they stay cooler and don’t need to be attached to the roof to withstand strong winds. That means installers simply clip on mounting stands and then snap the panels together like Legos. “For flat commercial rooftops this is game-changing technology,” said Manfred Bachler, chief technical officer at European solar installation giant Phoenix Solar, in a statement. Solyndra’s target is the 30 billion square feet of flat roofspace found on big box stores and other buildings in the U.S., according to Navigant Consulting – a potential $650 billion solar market. The emerging business model is for a solar developer to finance, install and operate a commercial solar array and then sell the electricity to the rooftop owner. Solyndra’s business is to supply the solar panels to the installers, a market crowded with competitors like SunPower (SPWRA) and Suntech (STP). A good chunk of the $600 million the company has raised has gone toward building its 300,000-square-foot solar fab. A video Gronet and Truman played for me shows a highly automated factory, with robotic assembly lines and robot carts moving the solar modules through the production process. That has helped Solyndra attract a long list of investors, from Silicon Valley VCs like CMEA and US Venture Partners to Madrone Capital – the Walton family’s (WMT) private equity fund – and Masdar, the Abu Dhabi company whose mission is to transform the oil-rich emirate into a green tech powerhouse. Another high-profile investor is Richard Branson’s Virgin Green Fund. Virgin concluded that Solyndra could make good on its promise to make solar competitive with traditional sources of electricity. “As a rooftop owner, all you care about is how much electricity you can get from your rooftop at the cheapest price possible,” he says. The looming expiration of a crucial renewable energy investment tax credit doesn’t seem to have spooked investors. Silicon Valley thin-film solar startup Nanosolar said Wednesday that it has secured another $300 million in funding and is jumping into the Big Solar game as well. 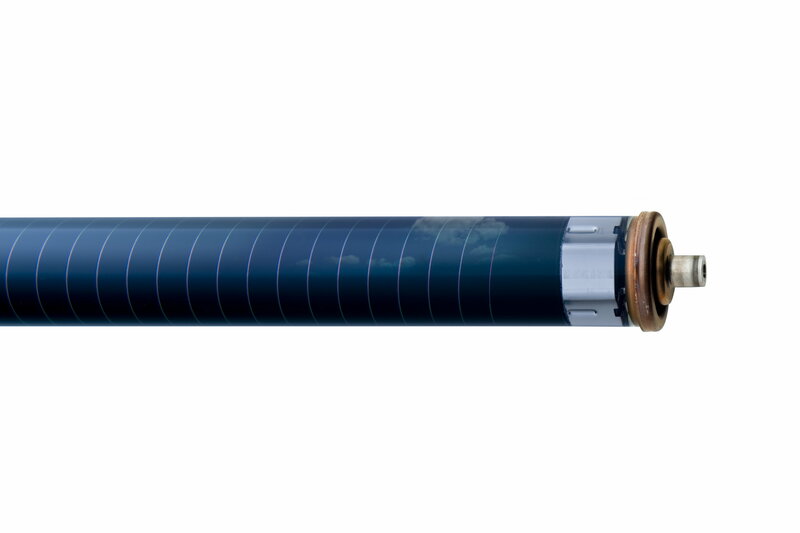 Writing on the Nanosolar blog, CEO Martin Roscheisen said that the latest financing round – the company’s funding now totals half a billion dollars – comes from oldline utility AES (AES), French utility giant EDF and the Carlyle Group, among other investors. Nanosolar, which prints solar cells on flexible materials, will supply solar panels to the newly formed AES Solar, which will build medium-scale – up to 50 megawatts – photovoltaic power plants. The Nanosolar news is just the latest of a spate of deals to take solar panels off rooftops and plant them on the ground to generate massive megawattage. 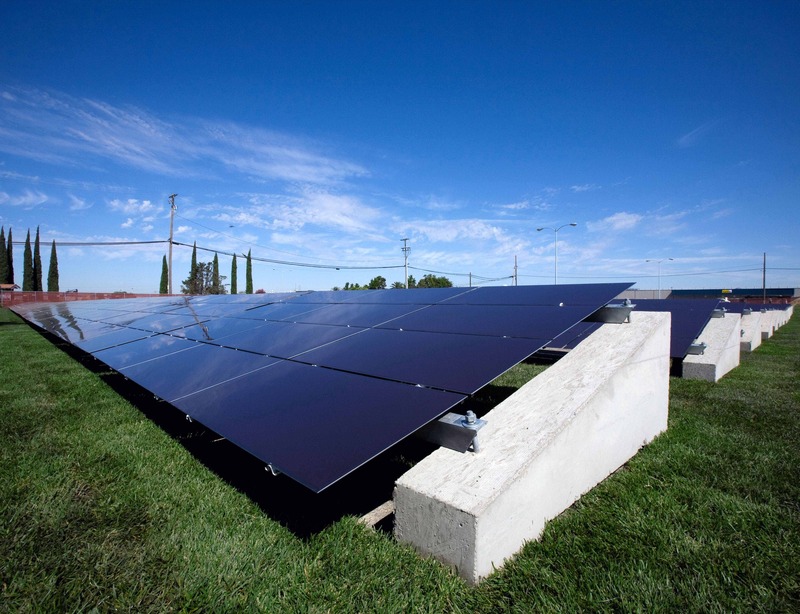 Two weeks ago, thin-film solar startup Optisolar won a contract from utility PG&E (PCG) for a 550-megawatt PV solar power plant while SunPower (SPWR) will build a 250-megawatt photovoltaic solar farm for the utility. Leading thin-film company First Solar (FSLR), meanwhile, has inked deals over the past few months to build smaller-scale PV power plants for Southern California Edison (EIX) and Sempre (SRE). And thin-film solar company Energy Conversion Devices is assembling a 12-megawatt array for a General Motors plant in Spain.